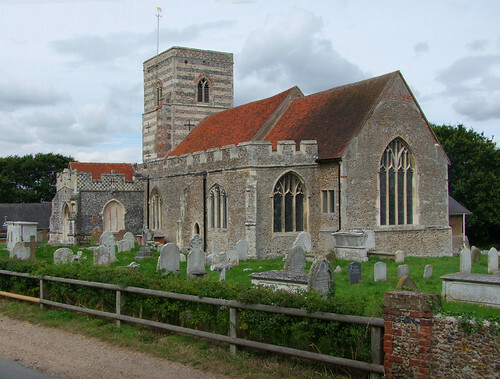 One of my favourite Essex churches, and I couldn't resist visiting it on my way back into Colchester. Although in the 1884 earthquake zone, it did not sustain as much damage as its neighbours, and is an aesthetic pleasure with its brick floors, wall paintings, painted medieval roof bosses and alabaster sculptures. A real treasure house.